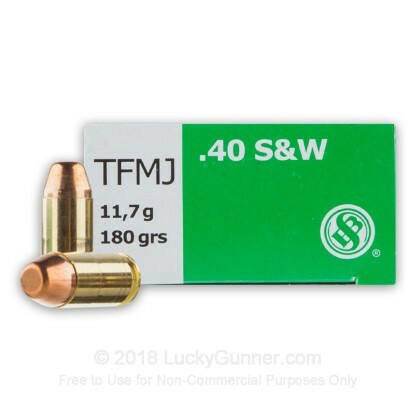 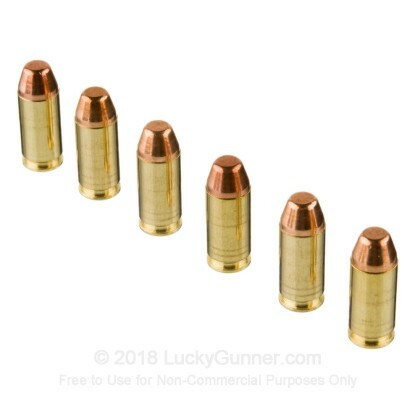 This Sellier and Bellot 40 S&W TMJ cartridge is crafted with a Nontox primer and copper disc capping the bottom part of the bullet's lead core which eliminates lead vaporization while shooting. 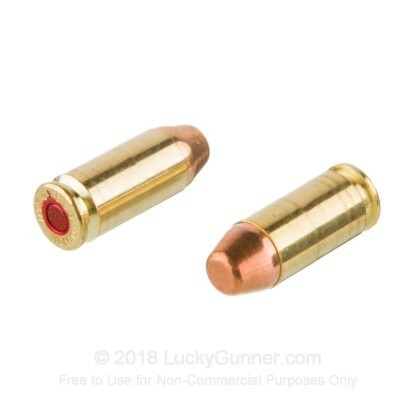 Designed for indoor ranges or areas with limited ventilation. 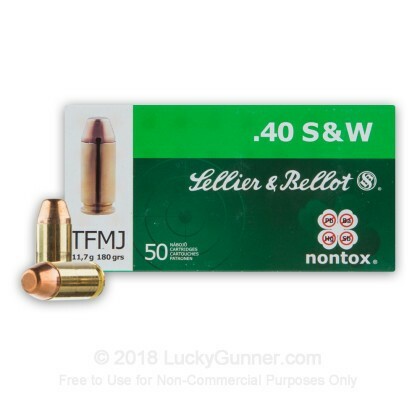 Sellier & Bellot officially refers to this round as a total full metal jacket (TFMJ) which is the same thing as other manufacturers' total metal jacket (TMJ). 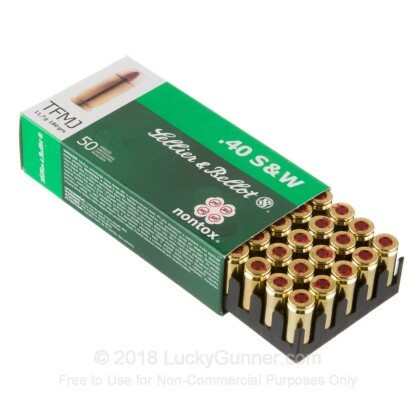 We don't have any reviews yet for this particular .40 S&W (Smith & Wesson) ammo from Sellier & Bellot. 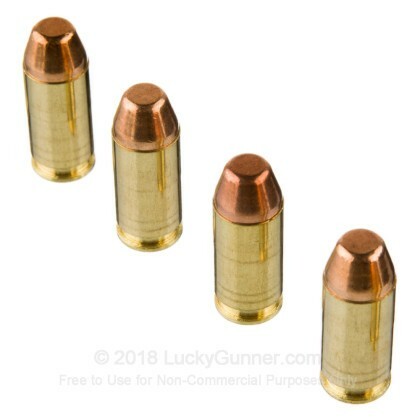 If you'd like to be the first to review this particular .40 S&W (Smith & Wesson) ammo from Sellier & Bellot, fill out the form below.